Update: Brace yourself! 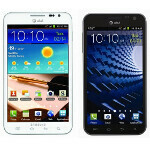 Samsung has passed along the word that the update will be coming to AT&T Samsung GALAXY Note owners on Tuesday! It won't be long now. Back in March, Samsung announced that in addition to Android 4.0.4, Samsung GALAXY Note owners would also be receiving the Samsung Premium Suite. Those who have had the chance to see a sneak peek of the combined update say that it is coming soon. Of course, the regular Android 4.0 features will be added to the phablet, such as Face Unlock and Android Beam. Like it did with the ICS update to the Samsung Galaxy S II, the Korean manufacturer left the UI mostly the same on the Samsung GALAXY Note, not that anyone will probably complain about the lack of change for changes' sake. In other words, if it 'aint broke, don't fix it. If you're not enamored with TouchWiz, the update will allow you to install the Nova Launcher which will give Samsung GALAXY Note users the feel of using a stock Android 4.0 device. 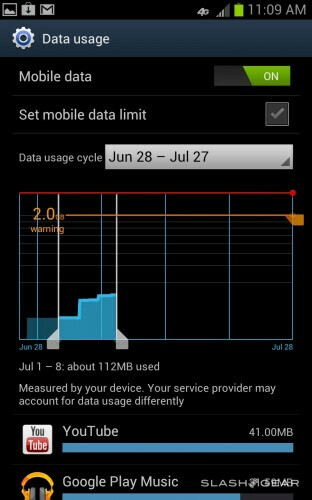 The update also brings an improved data usage tool that allows you to monitor how much data you're using and you can set it up to send you warnings at specific points, or have certain features turned off when you reach pre-determined levels of data use. Wolfram Alpha. Shape Match turns your lopsided drawn circle into a perfectly round one. 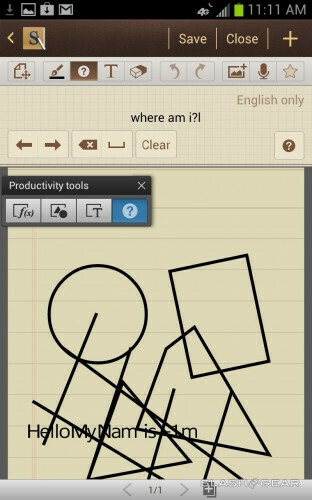 All together, it adds up to some nice new features for Samsung GALAXY Note users, and it should be coming soon. lol Yes, yes you can. Stock ICS on this would be a BLAST!!! Yeah, I've been running cm9 from calprogrammer on xda for a while now and before that flapjaxx cm9 build. Can't go wrong with stock ics. Now that the official release is out, I can't wait for some updated cm9 love. Overclock time plus linaro or dare I say it, when the official code comes out next week, JB porting? So much releasing all at once! I can only guess their talking about Apex or Nova, because you have to have ICS to install those particular launchers. maybe so but if that's a benefit that they picked out of receiving ICS it must be as poor as the rest of the ICS updates Samsung has been pushing. that's always been a low point with them. They said it was coming soon like 8 months ago... all this waiting. Why not skip straight to JB! because ICS was already so close to being done so they might as well push it out for people to have while waiting for JB. It's about time they pushed this out. I think the only reason they even bothered was because Tmo is launching their Note with ICS. This should have been released when the One X came out. The update is already available via KIES. I am downloading the update right now. Yep. Downloaded it with Kies at about 10:15pm. Working well. Now if AT&T will just execute the upgrade for my Galaxy Tab 8.9 and Pantech Element ill be a happy man...at least until the Galaxy Note 2 debuts somewhere! AT&T Store(I know not always reliable) said it will be a few weeks.